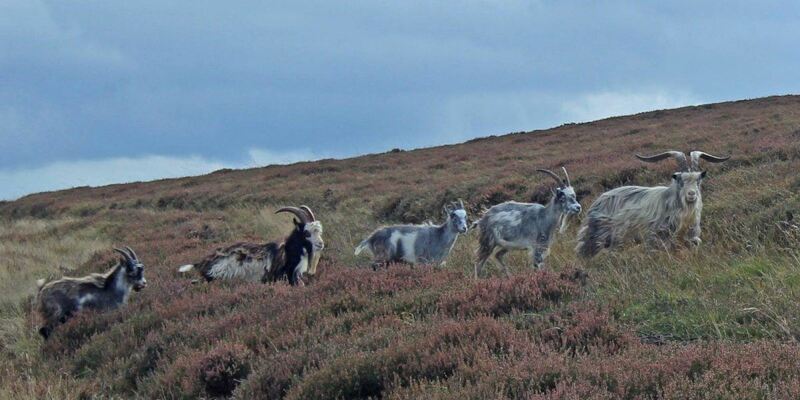 Wild goats in the Cheviots. 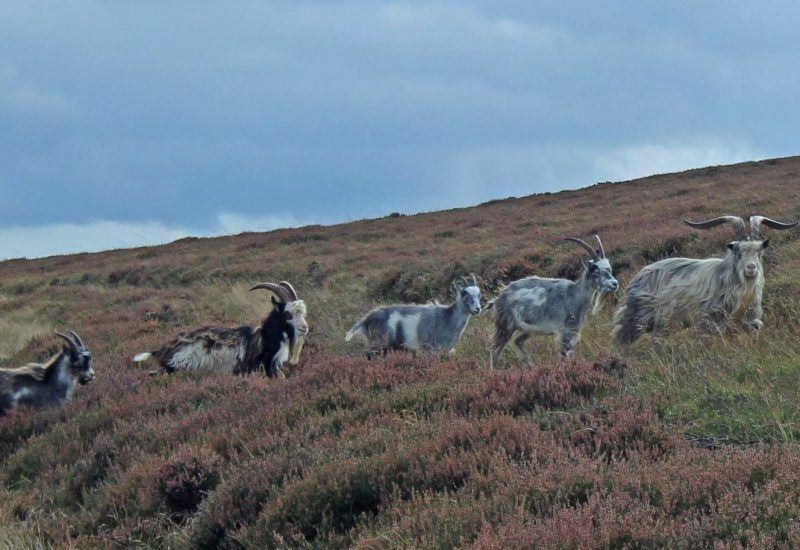 The feral goat herds in the Cheviots are regarded as a good example of a primitive goat that helped sustain people of the British Isles from the times of the earliest Neolithic farmers. 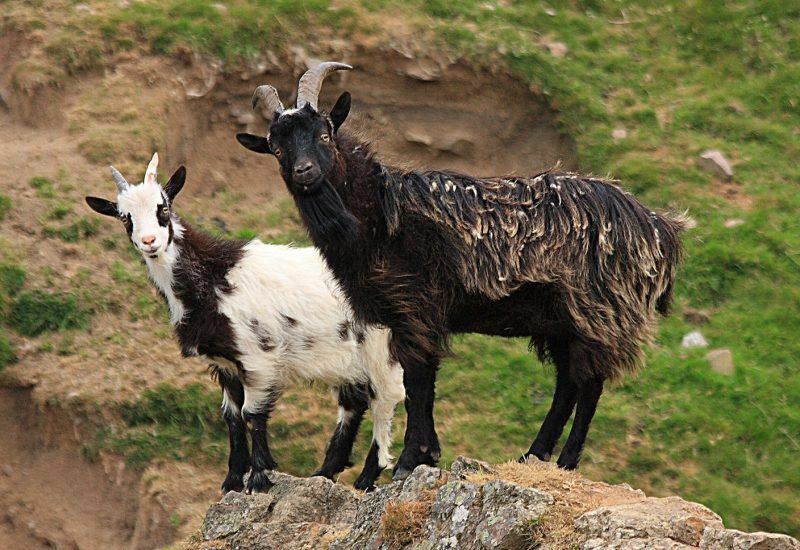 They pre-date modern goat breeds and are hardy living a totally wild existence. 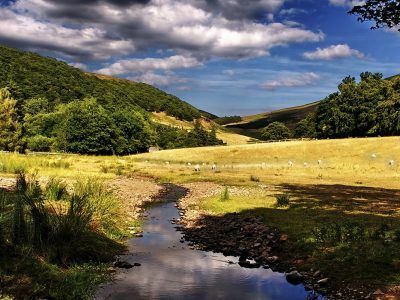 Northumberland National Park Authority and the British Feral Goat Research Group work closely with the landowners and farmers on whose land the goats graze to make sure they survive into the future. 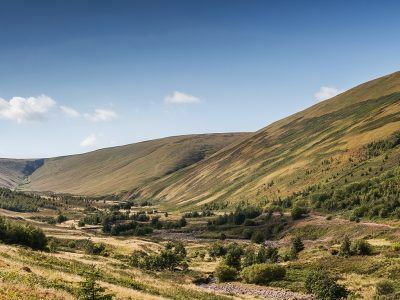 Currently, GPS tracking research is being undertaken by Newcastle University, so don’t be surprised if you see a goat wearing a large collar – it is telling the researchers where it is, by satellite. 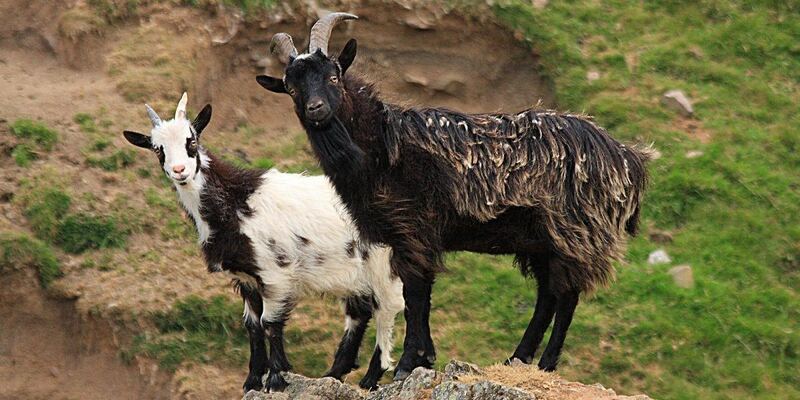 The goats are variable in colour with black, white and brown shaggy coats and long horns. 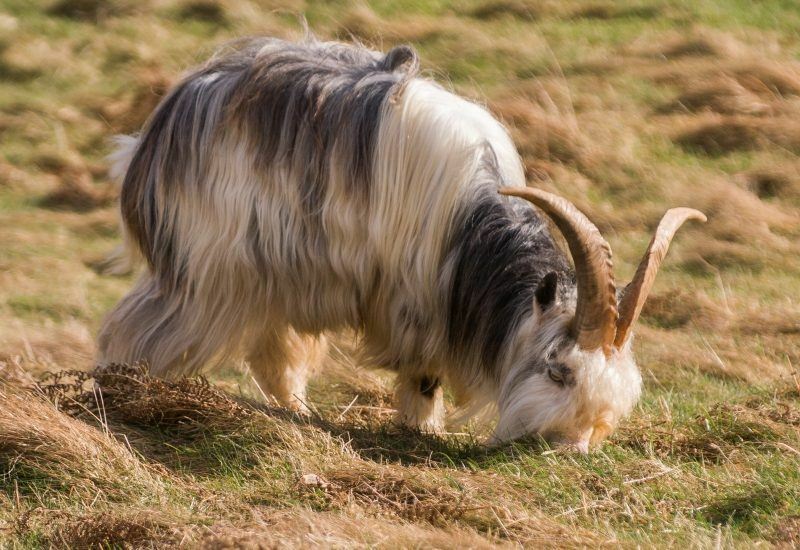 The male (billy) goats can be identified by their large horns, sometimes 0.5m long! 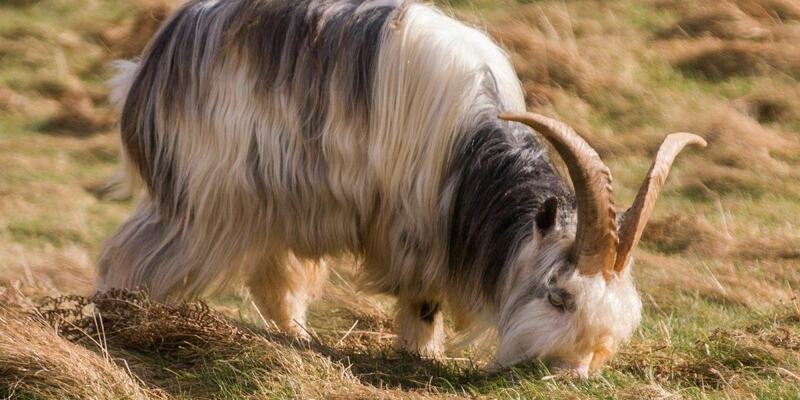 The goats are approachable enough for you to often get good views and offer no threat to walkers if left alone. 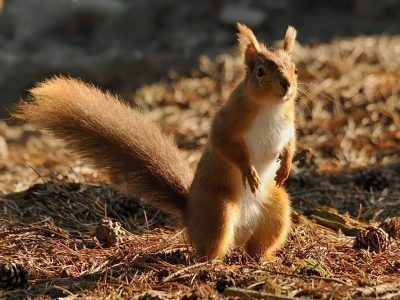 During most of the year, they are in small family groups, larger numbers may be seen together during the autumn rut when clashes between males happen. They have their young (kids) from mid February onwards; females sometimes leave new born kids lying up in sheltered spots while they go off to graze. These are not abandoned so please leave them where they are – mum will come back for them eventually.